Get 20% off by registering three or more attendees at once (not valid with other discounts). Coupon codes can be entered on the cart page. Special group rate of $150/person* for 3 or more people watching via web streaming on the same screen. What looks like pure fun to us has important social consequences for the developing mind. The ability to participate in collaborative pretend play depends upon having a flexible brain, competent language ability, self regulation, and solid social-emotional development as well the executive function skills to multi-task the use of all of the above! The first component of this presentation is designed to give participants knowledge of the key components of social cognitive development from birth to five years of age. The second aspect of this talk will focus on how to put the research and best practices of teaching social into action. The speakers will introduce 10 Social Thinking Vocabulary concepts that have been adapted for children ages 4-7, and methods to teach these concepts through story books, music, structured activities, and play. They will also look at different strategies for service delivery in a variety of settings. Strategies for home and school are designed for young children with average to strong language and learning abilities. Participants will be able to identify at least 4 key milestones that underlie the development of social cognitive skills birth to five years of age. Participants will be able to explain why a preschool or early elementary aged child with a social cognitive learning challenge may have trouble with collaborative pretend play. Participants will be able to discuss the difference between a skills-based approach and a social cognitive-based approach. Participants will be able to identify ways to structure collaborative play experiences in preschool and early elementary settings. This day is filled with practical information that can be infused into home and school environments. Lessons offered are relevant for all school-age students. Those working with preschoolers and young adults will also benefit from the information presented. what it means to share an imagination and more. Clinical examples are used to highlight how to teach these abstract concepts to help make the information more concrete, to help the student understand how to better communicate. The goal is to help students carry these ideas out of the treatment room and into their real lives. Participants will be able to describe how teaching Social Thinking and related skills can be done in the classroom during academic and social tasks. 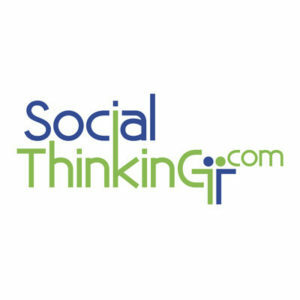 Participants will be able to define five different Social Thinking Vocabulary concepts. Participants will be able to describe how Social Thinking Vocabulary concepts facilitate generalization across settings. Participants will create a lesson plan to teach students about being part of a group. Participants will create a lesson plan to teach students how to be more aware of nonverbal and verbal communicative information. Participants will describe what is meant by teaching students the concept of the three parts of play. "Built on my knowledge of Social Thinking concepts." "Wonderful strategies to use with my students and awesome ideas for ways to structure groups in the future." Kari Palmer, MA, CCC-SLP researched and wrote "The Double Interview: Assessing the Social Communication of Adolescents with Asperger Syndrome" for her Master's Thesis. Kari worked as a full time therapist at Michelle Garcia Winner's Center for Social Thinking in San Jose, CA. Her diverse caseload included preschool aged children to young adults, all with varying levels of social cognitive challenges. Kari had the good fortune of training directly with Michelle and co-treated a teen group with her each week. Currently Kari works at her private practice, Changing Perspectives, in Excelsior, MN. Ryan Hendrix, MS, CCC-SLP is a Social Cognitive Therapist at Social Thinking Stevens Creek in San Jose and a private therapist in San Francisco. She trained and works directly with Michelle Garcia Winner and Dr. Pamela Crooke. Her diverse caseload experience includes preschool-age children through young adults with varying levels of social cognitive learning challenges. Ms Hendrix is an American Speech-Language-Hearing Association (ASHA) member and has a Master's Degree in Speech-Language Pathology from the University of Arizona. Note: This schedule is being used for both days. Prices listed are for either day one or day two. Register for both days and receive a $25 discount. Lunch is included.